Backed by valued industry experience, we provide our clients with an extensive range of Industrial Spray Painting Booth. 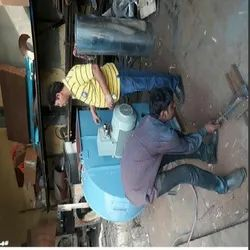 Tube Axial Flow Fan We are one of the premier engineering companies engaged in manufacturing precision engineered range of humidification machinery. Our range is appreciated for its durability, high performance and sturdy construction. 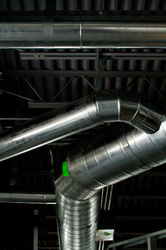 MS Air Duct We are one of the premier engineering companies engaged in manufacturing precision engineered range of humidification machinery. Our range is appreciated for its durability, high performance and sturdy construction. 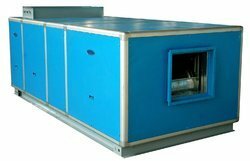 Air Handling Units We are one of the premier engineering companies engaged in manufacturing precision engineered range of humidification machinery. Our range is appreciated for its durability, high performance and sturdy construction. 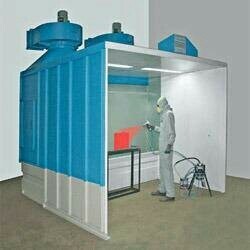 We are manufacturing a range of superior quality Industrial Spray Painting Booths pollution control devices. Our range is manufactured in our sophisticated manufacturing unit and are in strict compliance with the international quality standards. These are sturdily designed and are known for its high performance, longer service life and superior quality.